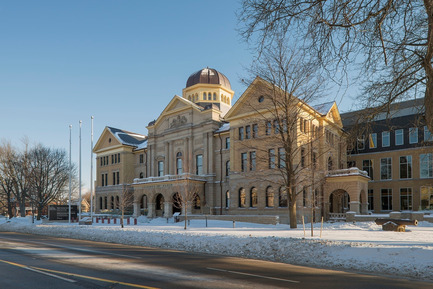 The inauguration of the Elgin County Courthouse, consolidating the Superior Court of Justice and the Ontario Court of Justice, occurred on March 18, 2014 in St. Thomas Ontario. 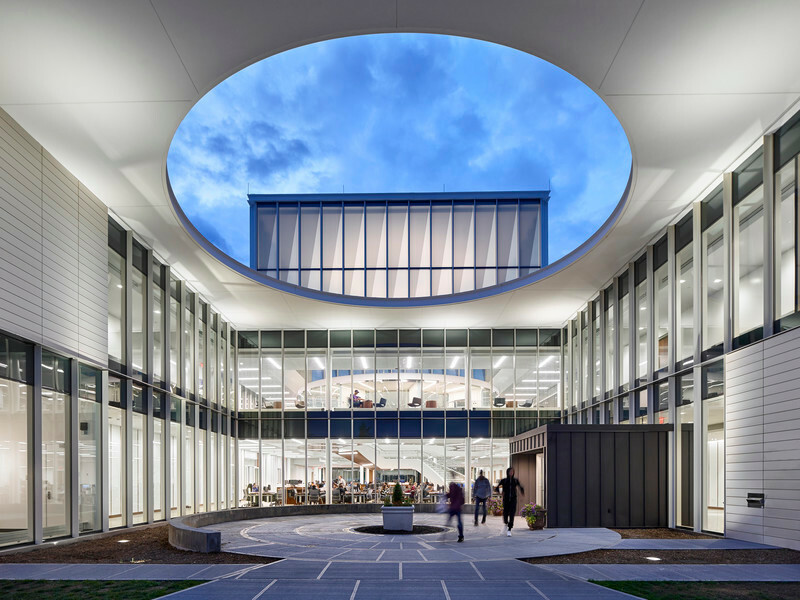 The ceremony marked the opening of the new judicial complex, incorporating a substantial new construction, by the project architect NORR Ltd, and the integration of the original St. Thomas courthouse, by the conservation architects FGMDA. 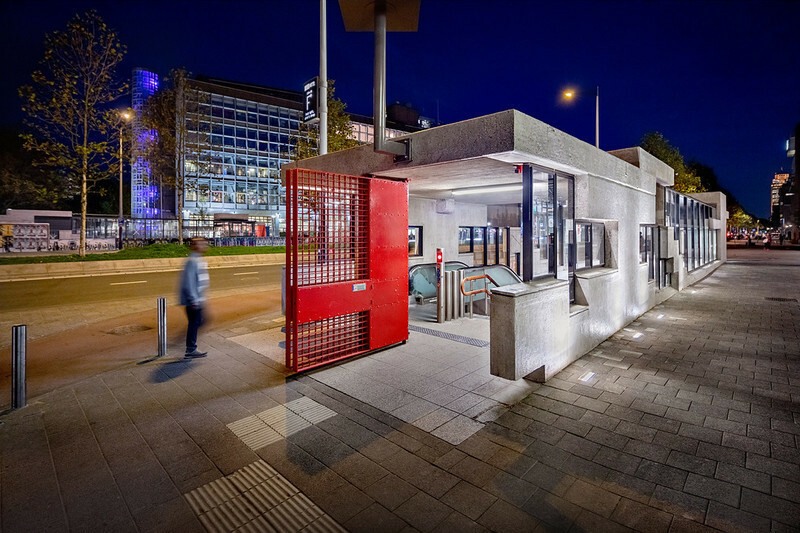 The master planning was the result of a joint collaboration. 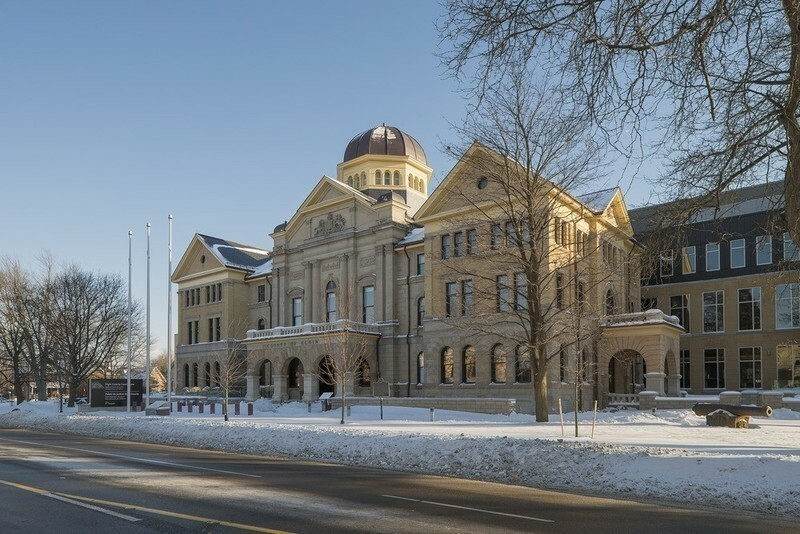 The Elgin County Courthouse demonstrates the commitment of several levels of government to the preservation of its heritage buildings through rehabilitation and expansion. A key objective was to retain the importance of the heritage courthouse within the complex: it remains its front door. Great care was taken in the project brief to ensure that the building would be maintained in its entirety; this is no exercise in facadism. 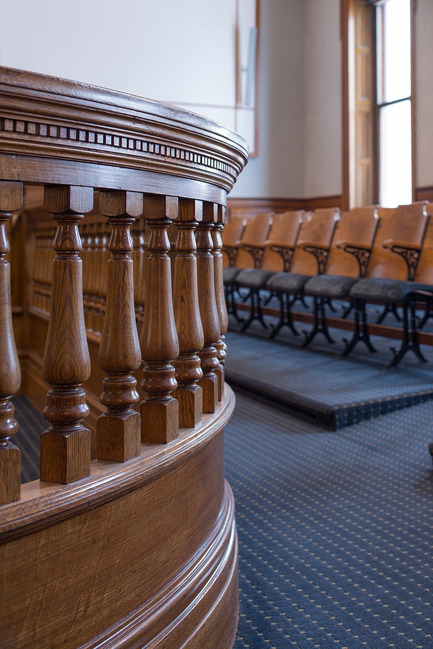 The project began in 2011, when a Private-Public-Partnership (PPP) Call for Proposals was launched by Infrastructure Ontario, on behalf of the Ministry of the Attorney-General. The EllisDon team, including architects NORR and FGMDA, won the design competition. The central part of the St-Thomas Courthouse was designed by John Turner and completed in 1853. Unfortunately, the building was damaged by fire in 1898. Substantially rebuilt and enlarged to the designs of Neil Darrach in 1899, it has been a local landmark for over 150 years. The adjacent Land Registry Office, as it stands today, was completed in 1909 after several additions. In contrast to the majesty of the neo-classical courthouse, the Land Registry Office is an unadorned, incombustible building, characterized by brick vaults. 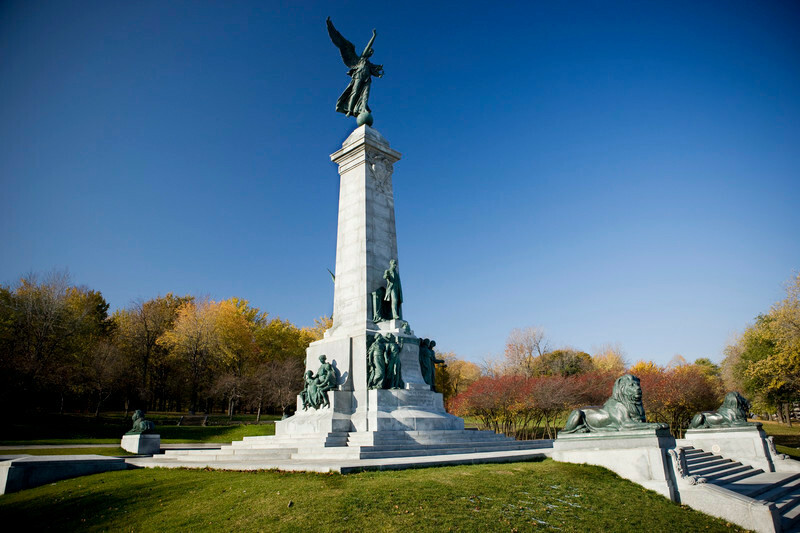 The site was designated as a Heritage property by the Government of Ontario in 1989. 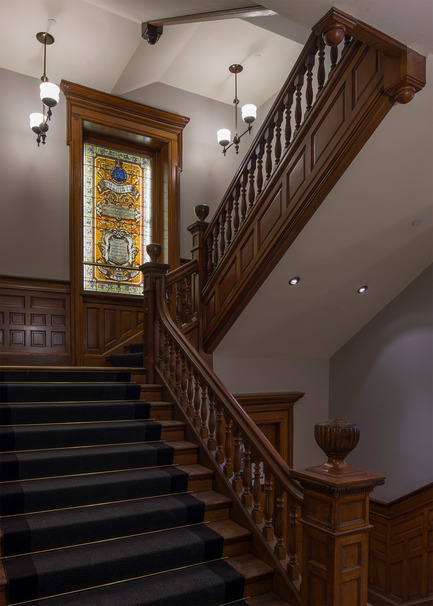 As it does for all of its conservation projects, FGMDA began by understanding the historic buildings, through archival research, exploratory openings and materials testing. 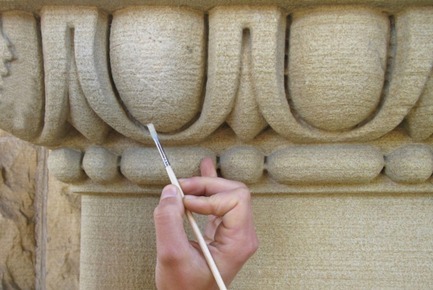 The analysis of the findings was summarized in a detailed work plan, based on the Standards and Guidelines for the Conservation of Historic Places in Canada, which guides architectural conservation across the country. The mandate for the rehabilitation of the two heritage structures began in parallel with the new construction, spanning 30 months from July 2011 to February 2014. 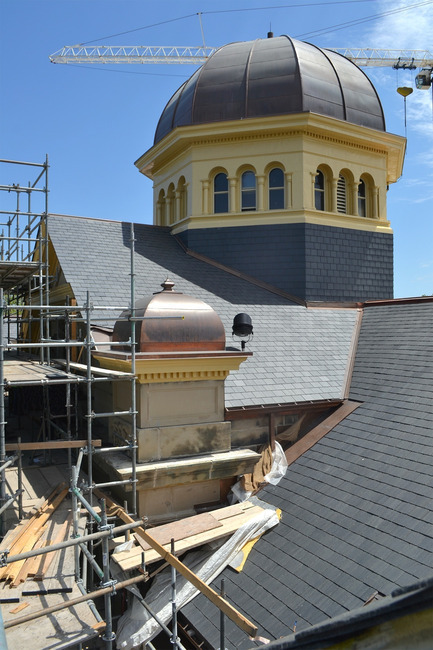 The work consisted of the complete restoration of the building envelopes, including the chamois brick-work and the Berea stone-work, the copper and slate roofs, and the wood windows and doors. 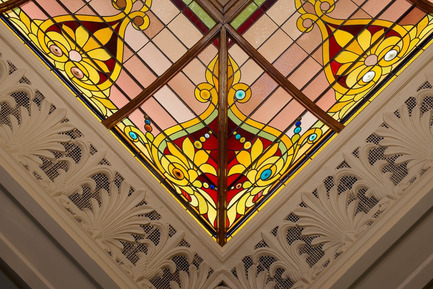 The elegant interior finishes of the courthouse, such as the stained glass windows, plaster and woodwork, artwork and furniture were meticulously restored, using the specialized expertise of a team of conservators. 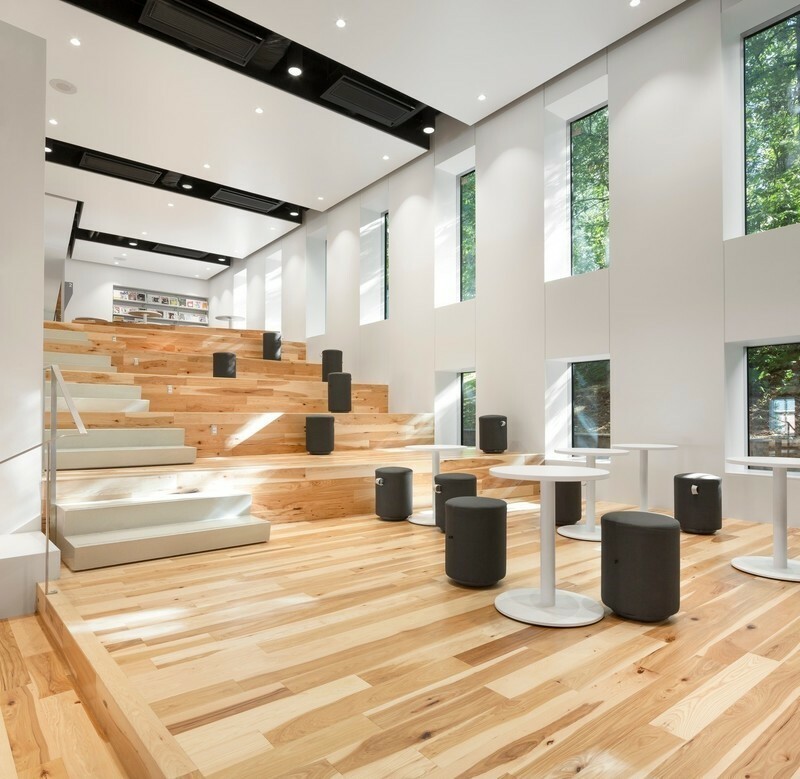 In contrast, the new finishes in the Land Registry Office harmonized with its original design simplicity. 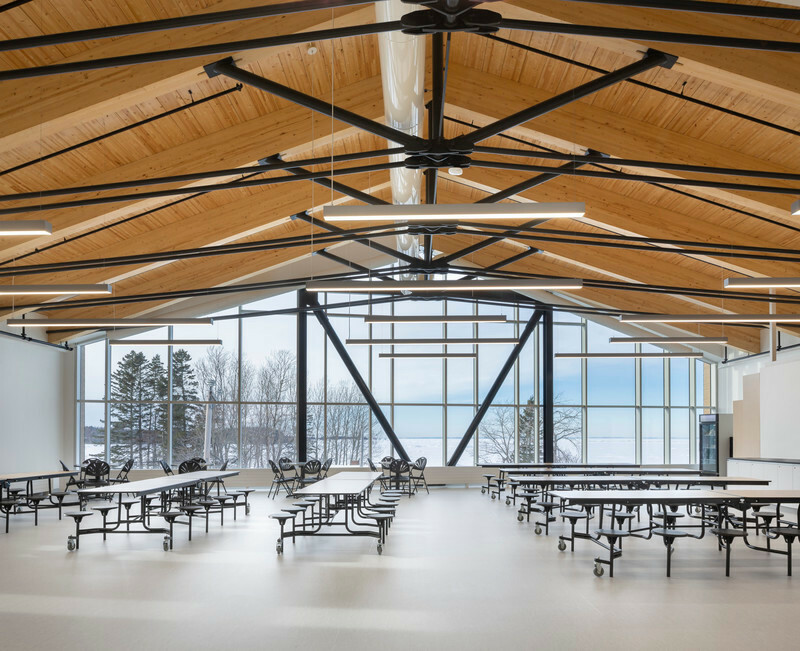 A major challenge in both buildings was to respect the heritage character and seamlessly integrate the new security, life-safety, acoustic, electrical and HVAC systems. 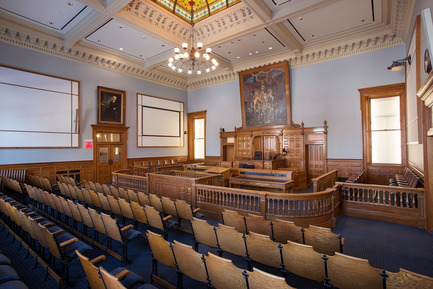 The original courthouse is once again a showpiece, but one that responds to all modern requirements for the 21st century. Among the technical feats, the replication of the carved stone columns in each of the three entry porticos is noteworthy. The deterioration was so advanced, and the clarity of the carving so lost, that replacement was deemed the only viable option. 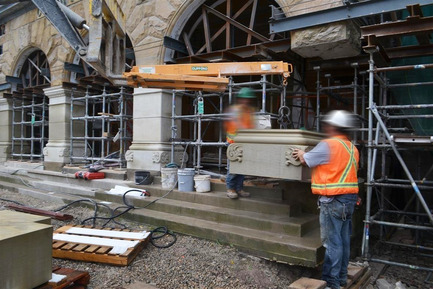 A temporary steel support structure was built, to allow the full removal of the damaged stonework, and the installation of hand-sculpted replicas. A protective barrier was inserted under the base of each new column to prevent any remigration of de-icing salts into the stonework. 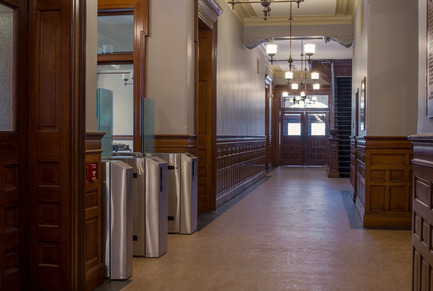 The St. Thomas courthouse rehabilitation and its integration into the Elgin County Courthouse is a unique response to a series of site-specific needs and conditions. It will remain as a testimony to the unusual evolution of its history; the talents of its craftspeople and its importance on both a local and regional basis. 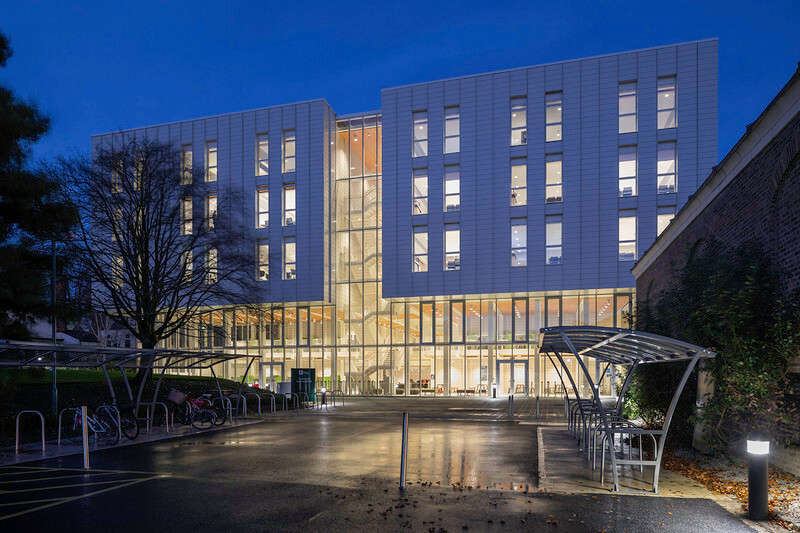 It demonstrates how combined political will and professional care can result in a thoroughly modern complex that honours its past. 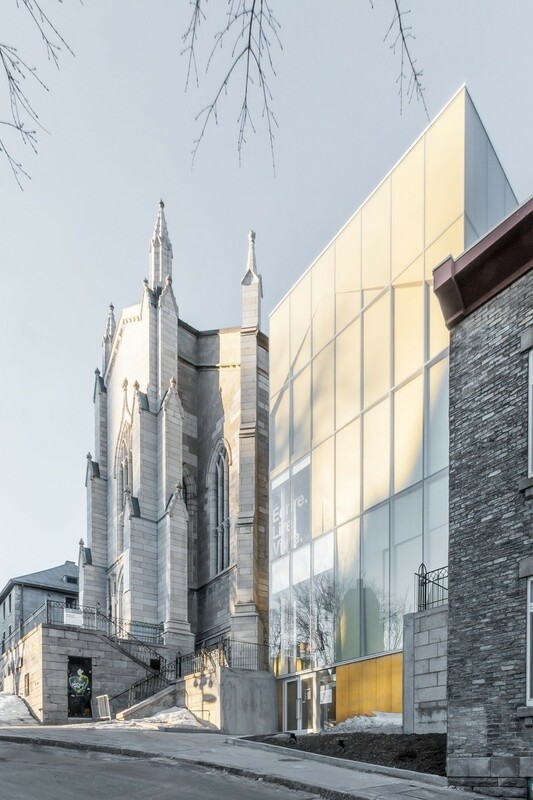 Plaster: Historic Plaster Conservation Services Ltd.
Fournier Gersovitz Moss Drolet et associés architectes (FGMDA) has been engaged in the practice of contextual architecture since it was created in 1996. 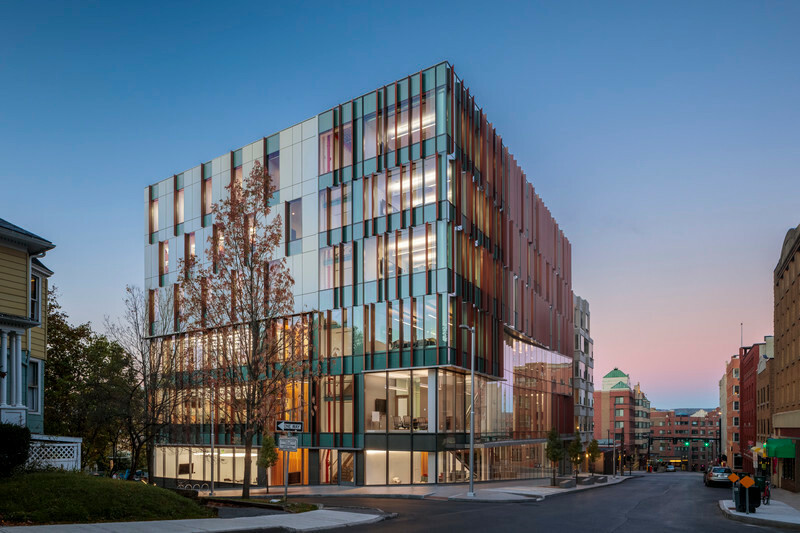 Born of the merger of two offices first established in 1983, the firm combines skills to solve complex architectural problems in a specific context, for example built heritage or northern regions. Its main fields of activity also include housing in various forms and project development consultancy (feasibility, model studies, etc.). 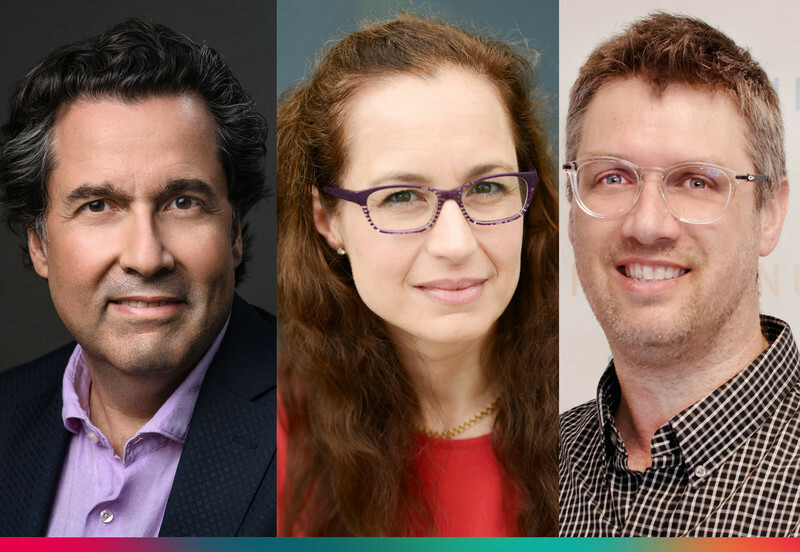 FGMDA is managed by architects: Partners Alain Fournier, Julia Gersovitz, Rosanne Moss and Georges Drolet, nine Associates including two Senior Associates, John Diodati and Dima Cook. FGMDA serves its clientele from its Montreal headquarters and its Toronto office.